For many businesses, location is key. A great location might cost extra money, but you’ll earn far more because people will see your auto repair shop and it will be more convenient for them to drop their vehicle off for service. 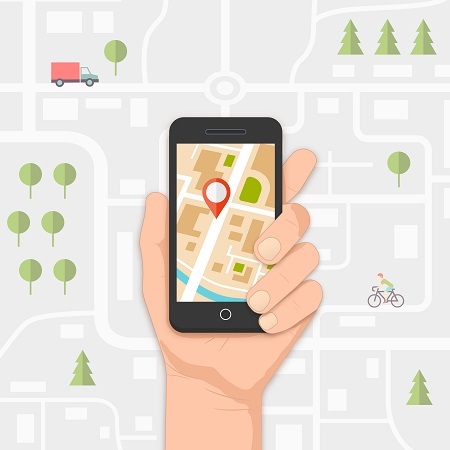 When it comes to earning business online, however, the customer’s location is important, too. Did you know that a customer’s location is the factor Google considers most when deciding which businesses to show in the list of three just under the map section of a search result? Of course, Google relies on several things to determine who earns the best location in the search results, including your reviews, your website quality, and your shop hours. Location is important too – Google can see where its users are located, and it knows which businesses are nearby. They’re much more likely to show your business if your location is right next to the person searching for a shop. Unfortunately, there’s nothing you (or your website provider) can do about a user’s location. What you can do is make sure that you help Google understand which customers you serve. For instance, you might be on the edge of a city but mostly provide auto repair services to the residents of another town. You want to make sure you advertise your proximity to both locations on your website! Many websites don’t have this level of content. Some ‘micro-sites’ (those with 5 or fewer pages) don’t even list the cities near a shop. These websites will often just state where the shop is located, which makes it much more difficult to earn first-page results when people located in nearby towns search for the services your shop provides. Just listing the towns won’t get you very far, either. Ideally, your website will have a page dedicated to every major town that you receive customers from. This demonstrates to Google that your website isn’t just listing nearby cities, but that you’re actively serving customers from those locations. If you don’t have pages dedicated to the towns you serve, work with your provider to get them there. You might be surprised with the impact it has on your search results – and how often your phone rings! To learn how Repair Shop Websites brings business to repair shops across the country, call us at 866-665-1605 or email us at Team_RSW@RepairShopWebsites.com.